Compare the voting records of Bruce Westerman and Danny K. Davis in 2017-18. 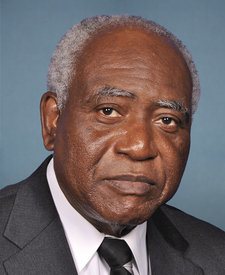 Represented Arkansas's 4th Congressional District. This is his 2nd term in the House. 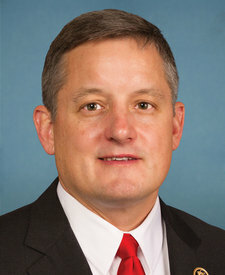 Bruce Westerman and Danny K. Davis are from different parties and disagreed on 73 percent of votes in the 115th Congress (2017-18). But they didn't always disagree. Out of 1033 votes in the 115th Congress, they agreed on 279 votes, including 30 major votes. Passed by a margin of 402 votes. Failed by a margin of 180 votes. Passed by a margin of 382 votes. Passed by a margin of 300 votes. Passed by a margin of 406 votes. Passed by a margin of 285 votes. Passed by a margin of 99 votes. Passed by a margin of 347 votes. Passed by a margin of 380 votes. Passed by a margin of 414 votes. Passed by a margin of 411 votes. Passed by a margin of 419 votes. Passed by a margin of 363 votes. Passed by a margin of 54 votes. Passed by a margin of 426 votes. Passed by a margin of 401 votes. Passed by a margin of 420 votes. Passed by a margin of 284 votes. Sept. 6, 2017 — Providing for the concurrence by the House in the Senate amendments to H.R. 601, with an amendment. Passed by a margin of 416 votes. Passed by a margin of 345 votes. Passed by a margin of 263 votes. Passed by a margin of 343 votes. Passed by a margin of 313 votes. Passed by a margin of 412 votes. Passed by a margin of 429 votes. Passed by a margin of 352 votes. Passed by a margin of 425 votes. Passed by a margin of 330 votes. Passed by a margin of 409 votes. Passed by a margin of 319 votes. Failed by a margin of 78 votes. Passed by a margin of 360 votes. Passed by a margin of 368 votes. Passed by a margin of 351 votes. Passed by a margin of 334 votes. Passed by a margin of 370 votes. Passed by a margin of 357 votes. Passed by a margin of 289 votes. Passed by a margin of 361 votes. Passed by a margin of 339 votes. Passed by a margin of 350 votes. Passed by a margin of 320 votes. Passed by a margin of 303 votes. Passed by a margin of 358 votes. Passed by a margin of 337 votes. Passed by a margin of 341 votes. Passed by a margin of 353 votes. Passed by a margin of 346 votes. Passed by a margin of 348 votes. Passed by a margin of 393 votes. Passed by a margin of 322 votes. Passed by a margin of 57 votes. Passed by a margin of 403 votes. Passed by a margin of 389 votes. Passed by a margin of 378 votes. Passed by a margin of 384 votes. Passed by a margin of 374 votes. Passed by a margin of 381 votes. Passed by a margin of 385 votes. Passed by a margin of 375 votes. Passed by a margin of 379 votes. Passed by a margin of 391 votes. Passed by a margin of 377 votes. Passed by a margin of 376 votes. Passed by a margin of 417 votes. Passed by a margin of 372 votes. Passed by a margin of 349 votes. Failed by a margin of 181 votes. Failed by a margin of 40 votes. Passed by a margin of 388 votes. Passed by a margin of 398 votes. Passed by a margin of 390 votes. Passed by a margin of 42 votes. Passed by a margin of 364 votes. Passed by a margin of 369 votes. Agreed to by a margin of 352 votes. Agreed to by a margin of 407 votes. Failed by a margin of 289 votes. Passed by a margin of 40 votes. Agreed to by a margin of 308 votes. Failed by a margin of 252 votes. Failed by a margin of 302 votes. Failed by a margin of 265 votes. Failed by a margin of 346 votes. Passed by a margin of 29 votes. Passed by a margin of 407 votes. Passed by a margin of 28 votes. Passed by a margin of 408 votes. Failed by a margin of 338 votes. Passed by a margin of 415 votes. Passed by a margin of 400 votes. Passed by a margin of 383 votes. Passed by a margin of 65 votes. Passed by a margin of 387 votes. Passed by a margin of 25 votes. Agreed to by a margin of 420 votes. Passed by a margin of 397 votes. Passed by a margin of 53 votes. Failed by a margin of 262 votes. Passed by a margin of 413 votes. Passed by a margin of 38 votes. Passed by a margin of 418 votes. Passed by a margin of 23 votes. Passed by a margin of 47 votes. Passed by a margin of 392 votes. Passed by a margin of 367 votes. Passed by a margin of 359 votes. Passed by a margin of 7 votes. Passed by a margin of 423 votes. Passed by a margin of 34 votes. Passed by a margin of 422 votes. Passed by a margin of 41 votes. Passed by a margin of 399 votes. Passed by a margin of 421 votes. Passed by a margin of 50 votes. Passed by a margin of 395 votes. Passed by a margin of 15 votes. Passed by a margin of 394 votes. Failed by a margin of 85 votes. Failed by a margin of 73 votes. Failed by a margin of 140 votes. Agreed to by a margin of 81 votes. Agreed to by a margin of 424 votes. Failed by a margin of 249 votes. Passed by a margin of 386 votes. Passed by a margin of 424 votes. Passed by a margin of 60 votes. Agreed to by a margin of 348 votes. Passed by a margin of 72 votes. Passed by a margin of 342 votes. Passed by a margin of 410 votes. Passed by a margin of 405 votes. Passed by a margin of 58 votes. Passed by a margin of 61 votes. Passed by a margin of 86 votes. Agreed to by a margin of 405 votes. Passed by a margin of 76 votes. Agreed to by a margin of 396 votes. Passed by a margin of 17 votes. Passed by a margin of 5 votes. Agreed to by a margin of 273 votes. Passed by a margin of 327 votes.